Plantronics .Audio 310 - .Audio monaural over-the-head style noise-cancelling headset with volume and mute controls, 6 ft. cord. Get vocal with the Plantronics .Audio 310, designed specifically for speech and voice applications. A superior noise-canceling microphone enhances speech accuracy while the monaural design keeps you tuned to your surroundings. The QuickAdjust telescoping boom ensure full control over speech-based applications, Internet talk, and multiplayer gaming. 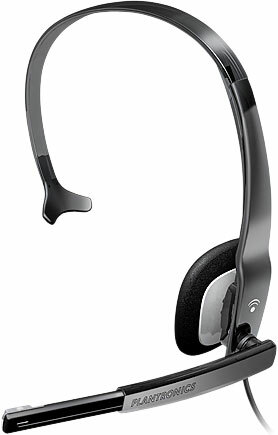 The Plantronics 71011-01 is also known as PLN-7101101	or 7101101	.